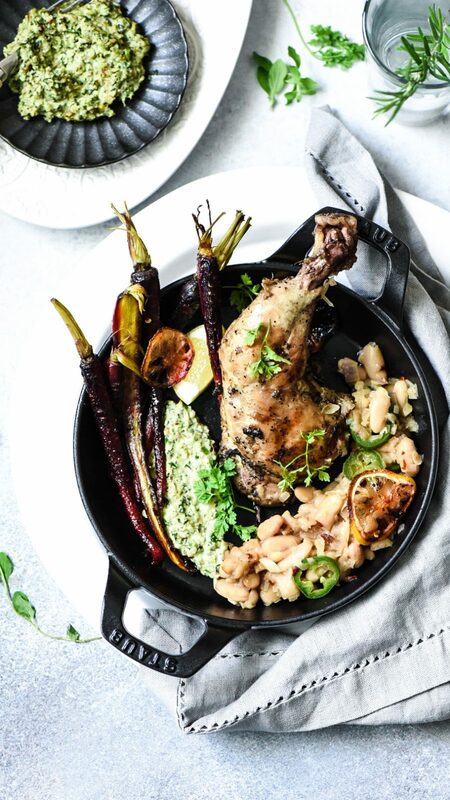 “Sous Vide Chicken with Beans”, sounds like mouthful doesn’t it? But trust me it is one of the most succulent chicken dishes you have ever eaten! 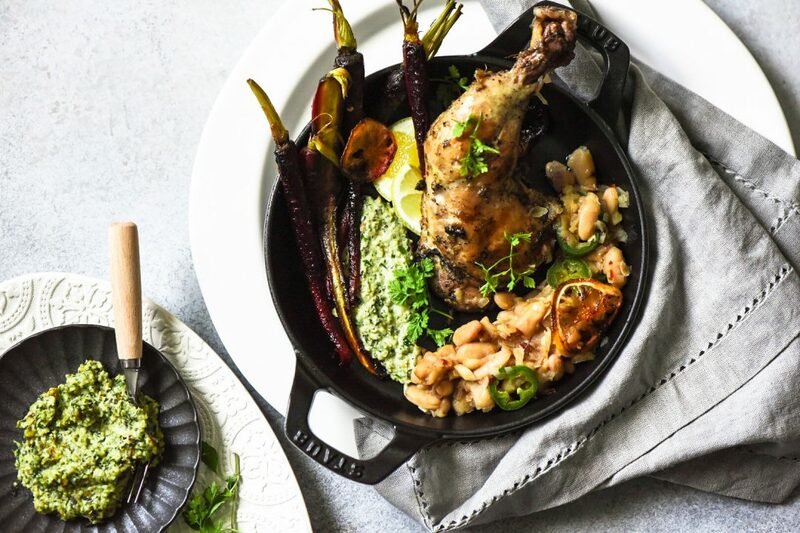 Sous Vide a cooking method used by many famous chefs and in well known restaurants is now possible to use it at home too thanks to companies like Anova Precision Cooker, Sansaire Cooker. These companies have come up with these amazing precision cookers which are very easy to use it at home. When I used to work in The Peninsula cooking meats in large batches using sous vide was one of my jobs. I used to love the juicy, succulent taste of meat, chicken and fish. I never thought cooking with sous vide will be possible at home because of the enormous machine we used to used. I didn’t even know that these machines exist for culinary enthusiasts. Back in 2016 I used Anova Precision Cooker and I fell in love with it, I love how easy this machine is to use at home. Since then I have been using this wonderful machine regularly. I use this cooking technique not only for meats and fish but also for vegetables and the flavour I achieve with is unbelievable. 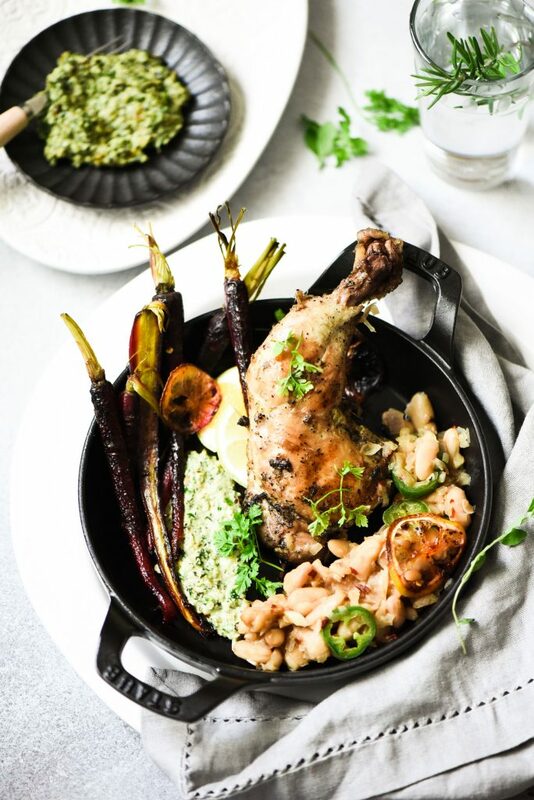 This “Sous Vide Chicken with Beans” is a regular on my weekend menu. I like to serve this with my “Zhoggiu Sauce” and candied carrots and beans mash. It is an amazingly healthy combination and it is gluten free too! 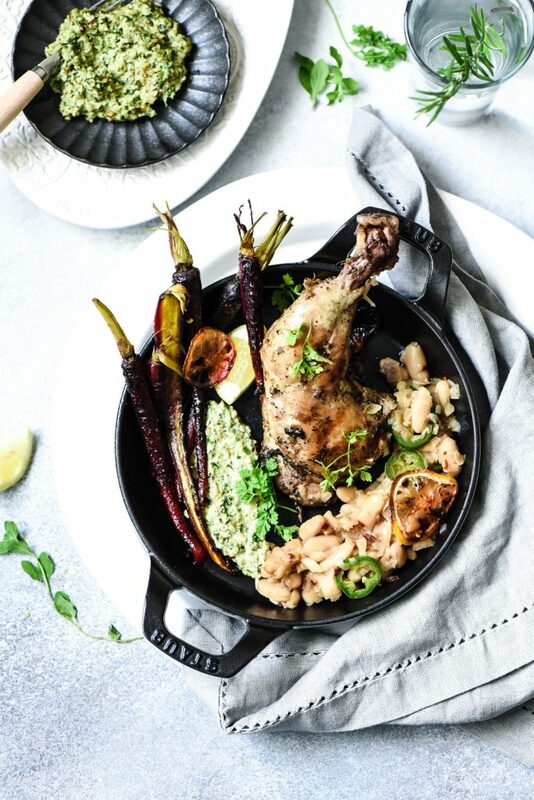 Do give this, Sous Vide Chicken with Beans recipe a try and I am sure you will love it! Marinate the chicken in the mentioned ingredients. Keep 1 tsp olive oil for later. Place the chicken in a ziplock bag and keep it in the fridge for minimum 30 minutes. Cook the chicken in the water bath on 74C/165F for 1 hour 15 minutes. If you are using the chicken right away then take the chicken out of the bags. Heat 1 tsp olive oil in the cast iron pan. Add the hot chicken leg and brown from both side. If you are not using the chicken right away then place the ziplock bag in cold water with ice. When it comes to room temperature, store it in the fridge. Take the chicken out of the fridge at least 30 minutes prior to cooking. Put the chicken bag in hot water for 15 minutes and then brown it on a high flame for 4-5 minutes on both sides. Wash the bean thoroughly under running water. Drain it well. Heat oil, add onion and saute for 2-3 minutes till it is transparent. Add spices and beans. Saute on a low flame for 5 minutes. Garnish with jalapenos. To plate up, Put the chicken in a plate, add the zhoggiu sauce on the side and beans on the other side. You can also add roasted carrots or potatoes too.